This is a common question for so many businesses. We take a look at the top 5 social networks to discover which is right for your business. It’s difficult to give a straightforward answer to this question, as it’s such an extensive and complicated topic, and each business is so different. But, by reading this article, you should be able to make a more informed decision about choosing where to invest your time. The key question: who is your audience? are relevant to your business and customers. This second point is key, because it’s your customers and potential customers who you’re trying to connect with. Which networks are they on? How do they behave online? What would appeal to them most? Once you’ve decided on your network(s), the next important thing to remember is: stick with it. Social networks build by, you guessed it: networking. You have to put the effort in to reap the rewards. There’s no point signing up to a whole bunch of social channels just because you think you should, or because that’s what your competitors are doing. It’s far more important to choose a network and commit to it. And that means posting regular updates, interacting with other users, sharing relevant links and images, and re-posting other users’ updates. All this activity helps to build your profile, grow your email list, increase your website traffic and boost your customer base. In a nutshell: you have to be sociable, and you have to network. Remember that social media is the cherry on the cake. First, you need to focus on the cake itself, i.e. your website. After all, there’s no point having a nice tasty cherry without a cake to place it on, is there? The architecture is clear and simple. You’re publishing regular new content. There are clear calls to action on each page. Your site is optimised for search engines. Your site is running at an optimum speed. 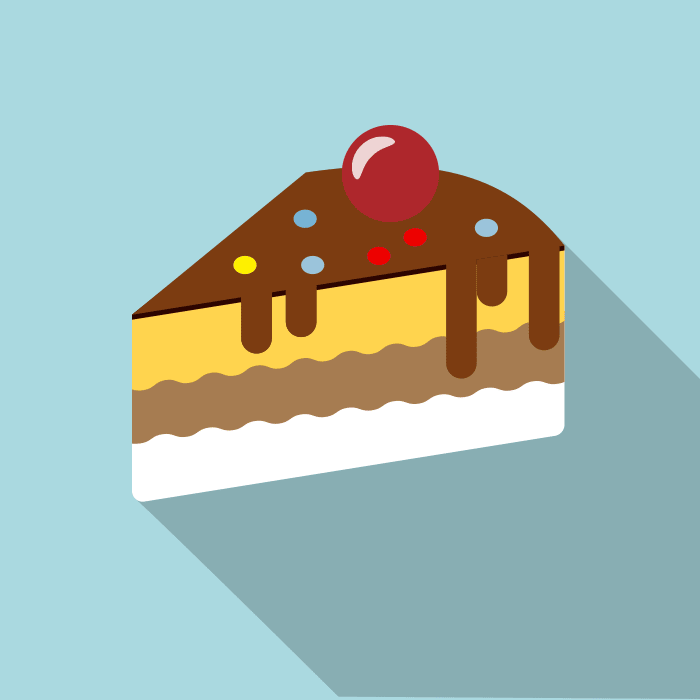 The next layer is the icing: building a high quality email list. This takes time and you need to be patient. What you’re aiming for is converting website traffic into email list subscribers so that you can build a more personal relationship via email marketing. Email marketing is still way more effective than social media for building relationships with leads and customers. For more on this, check out our article An Introduction to Lead Magnets: How to use your WordPress blog to grow your email list. Once you’ve got your website in tip-top shape (i.e. baked your cake) and have started to grow your email list (i.e. spread that delicious icing), you can finally place your social media cherry on top. Facebook is huge. It was launched by Mark Zuckerberg on 4th February 2004 and, as at January 2016, has 1.59 billion active monthly users. Facebook is the biggest social media channel by a long shot. In fact, as the market leader, it was the first social network to surpass a billion registered accounts. But you’d be mistaken if you thought it was only for personal use. There are now more than 50 million small business pages on Facebook and 2.5 million advertisers. Everyone’s heard of it, everyone knows what it is, and most people are on it. And that includes your customers, your potential customers, your email subscribers and your readers. Facebook Ads are a great way to reach your audience through targeted campaigns, they’re simple to set up and you get to control your spending. Facebook is a great network for consulting and for consumer products and services. If you only invest in one social network, and you aren’t drawn to another one out of preference, then a business Facebook page is a great place to start. LinkedIn was launched on 5th May 2003 and now has over 400 million users, although only 100 million of these are active on a monthly basis. This network is primarily targeted at professionals and is great for consulting businesses or B2B (business to business) companies. If you choose to set up a LinkedIn account, start with your profile and focus on building this up to include as much information as possible – about yourself and your business (in the Experience section). You can always add a company page later if it feels relevant. Twitter was launched in July 2006 and now has over 320 million active users worldwide. Twitter is great for both companies and individuals. It’s very easy to maintain as you’re restricted by the number of characters, links and images you can post. In fact, a tweet has a maximum of only 140 characters, which forces you to be as concise as possible. There’s no room for waffle here, you need to get straight to the point! The brevity of the format is attractive to some and a turn-off to others. Go with your gut if it appeals to you. Twitter appeals to people on the go and people in fast-paced businesses. It can also appeal to a more geeky or “techy” crowd, so think about your customers and what they would respond well to. If 140 characters is too limiting, and you feel a picture says a thousand words, then Instagram could be for you. Instagram was launched on 6th October 2010 and was actually bought out by Facebook in April 2012. In September 2015 Instagram hit 400 million active monthly users, overtaking Twitter by a long shot. Instagram is an online mobile photo-sharing, video-sharing, and social networking service that enables users to take pictures and videos, and share them either publicly or privately on the app, as well as through other social networking platforms. With digital filters that can be applied to any image, Instagram has turned the people of the world into amateur photographers! This format is great if you run any kind of visual business or a business that has a physical product. It’s perfect for artists, photographers, food bloggers, restaurants, gardeners, etc. Again, think about your business and think about your customers – would this social network appeal to them? Pinterest is another very visual social network. It was launched in March 2010 and has over 100 million active users. Pinterest is so called because users upload images and other media content, known as ‘pins’, to catalogues and collections, known as ‘pinboards’. It acts as a personalised media platform and has been described as a “catalogue of ideas” rather than a social network by its CEO Ben Silbermann. Pinterest boards are a great tool for gathering and organising inspiration, so they work especially well for designers, artists and fashion designers. Pinterest is not just for the hunters; it’s primarily for the gatherers. Pinterest also allows businesses to create pages aimed at promoting their companies online, which can serve as a virtual shop front. In 2013, they introduced a new tool called ’Rich Pins’ to enhance the customer experience when browsing through pins made by companies. Business pages can include various information and data, such as prices of products, ratings of movies or ingredients for recipes. Even if you don’t fancy yourself as a photographer you can still use Pinterest to curate and collect ideas, and to inspire your followers. With so many social networks out there, it can be hard to navigate your way through them and figure out which ones you should be using. And of course, more and more channels are popping up all the time… will they ever stop? Vine has only been around since January 2013 but already has over 200 million active users – that’s more than Pinterest and LinkedIn put together. Owned by Twitter, Vine is a video sharing service where users can share 6-second video clips on a continual loop. In a world addicted to TV, computer screens and YouTube clips of animals and babies doing hilarious things, is it any wonder Vine has become so popular so quickly? Periscope is a live video streaming app which “lets you explore the world through someone else’s eyes”. It was only launched in March 2015, so is a relative newcomer on the scene. Also owned by Twitter, it already has over 10 million registered users, with 1.85 million of those active on a daily basis. Surely another one for the watchlist. Remember, there’s no right or wrong when it comes to choosing a social network. It really depends which ones are right for your business and for your audience. It’s also important to choose the networks that appeal to you; the ones you ‘get’. You’re far more likely to keep up with your networking if you actually enjoy doing it! Whatever you decide, commit to it. It’s far better to sign up to one network and use it consistently, than sign up to 5 you never use. And linking to dormant social media accounts from your website is a big no no. Make sure your social media accounts are active and in regular use, otherwise remove the links from your website – it can do more harm than good. If you need any help baking that website cake, building up your email list icing, or popping the social media cherry on top, check out the packages we offer and book a free consultation to go through your options.